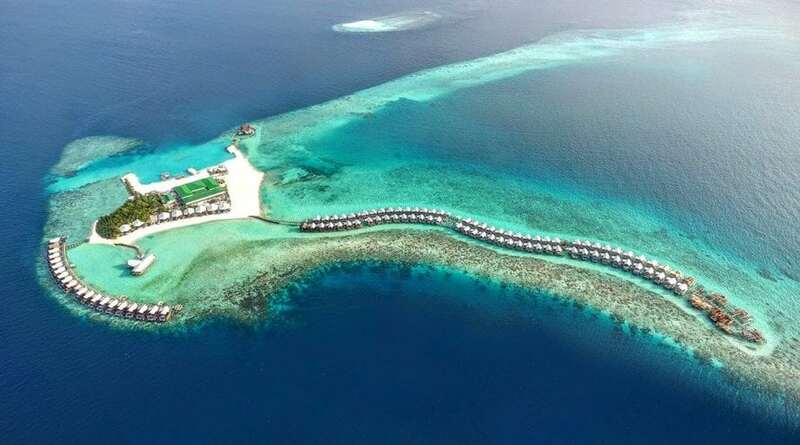 Accessible via speedboat from Velana International Airport, this luxe resort is on a secluded Indian Ocean island. Posh villas feature flat-screens, free Wi-Fi, minibars, and tea and coffeemakers, plus indoor/outdoor showers or baths. All are beachfront, oceanfront and/or overwater, and have terraces, and direct beach or water access. Some add private pools, hammocks, daybeds and/or glass floors. Room service is offered 24/7. A beach club has a gym, a game room, a kids’ club, a meditation deck and yoga classes. There’s also an infinity pool, a dive center and a spa, plus an oceanfront restaurant, an intimate bistro, and a poolside bar.